10/12/2016 10/11/2016 LetsPlayNintendoITA5 Comments on Treehouse of Horror XXVII: New and leaving items in the store! Treehouse of Horror XXVII: New and leaving items in the store! 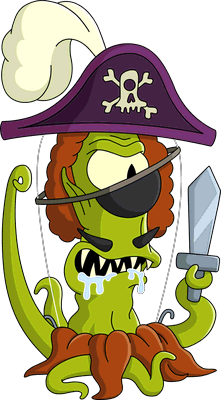 Some new items were just added to the store: Pirate Kang and the Kang and Pirate Outfit Bundle: Kang with Pirate Kang. Also the last 24 hours for Gingerbread House w/Suzanne the Witch are also here! Is it worth it to buy Kang and pirate costume? I don’t have either and was going to get both but can’t to save donuts for the third bundle. to me personally, no, it is not worth it. I have +60 million cash, i dont need the extra income, sure some of the tasks are funny but i need to keep all inside so the animations dont crash my game. Next How Do the Treehouse of Horror XXVII Items Affect the Conform-O-Meter and Krust-O-Meter?